Todays world of techno no longer hinges on the productions of working class Detroit or post punk Berlin. More and more countries outside techno's central hubs are producing bigger and better things. Take the current Italian resurgence lead by Dino Sabatini and Claudio PRC or Argentina's heavy hitters Pfriter and Jonas Kopp with even Singapore getting involved thanks to Xhin. Now techno invites Greece to the party and introduces everyone to Sawf. Not to be belittled, Greece does have a micro habitat of its own when it comes to electronic music. Local acts such as And.ID, GummIHZ, Alex Cellar, Echonomist, Fog and Kreon & Lemos have been working along side labels such as Dieb Audio, Kinetic, Yoruba, Material Limited and Echovolt in telling the world that their is more to Greek club culture then a few party islands for sunburnt tourists in white linen. For the moment techno's spotlight is shining in Greece's direction thanks to Perc Trax stalwart Sawf and his new 'Flaws' LP. TEA caught up with a tight lipped techno Zeus to talk about his new LP, field recordings, ominous steel structures and Greek sore throat remedies. How was it growing up in Greece and discovering different styles of music? I grew up in a really small town off one of the Greek islands where most interesting music was only available through international press. Where did you go to hear electronic music being played and hat lead you to produce techno music? Did you work your way into clubs? No I didn’t. I don't actually have any significant club experience. And the electronic music scene in Greece, how is it? Unfortunately there's not such a thing as an electronic music scene in Greece. Your industrial sounding productions would rely heavily on raw sounds and samples. Do field recordings play a big role in your productions? I do use a lot of raw parts in my tracks, of course none of which are taken from a 'noise/fx' category of a sample library. I’m constantly working on how field recorded sounds should be layered and manipulated in order to achieve a desired result. Your sound very much suites the Perc Trax mould. They received their first demo from you 2 years ago and since then a close working relationship has formed. How much of a conscious decision was it to send your productions to Perc Trax? Actually when Perc Trax released my first few tracks the label didn’t have the shape 'soundwise' it has now. I thought Ali (Perc) was taking a risk releasing something that was neither in high demand nor something Perc Trax would normally release. I contacted Perc after noticing that his tracks had a unique sound in an era where the wrong side of minimal was getting released each week. It was easy on deciding one label to contact as none of my tracks had a similar sound to compile into an EP, luckily enough I made the right choice. Tell us about your new LP Flaws. How long have you been working towards it? Except from the three interludes no other track was made having an album in mind. After constantly sending new tracks to Ali his 'Sawf demo folder' was ridiculously full and we decided that some of them were good enough to make an album with. When Perc first dropped the idea of an album I was a bit sceptical because I thought that I could maybe get away with a 4 track EP that included a collection of extremely different sounding tracks. It’s not in any case a concept album, all tracks included were made in a period of 6-8 months. Tell us a bit about the three ambient interludes that feature throughout Flaws. When we decided to go for the album Ali asked if I could work on something for a start, an interlude and an ending. I found it quite intriguing to work on a track not based for the dancefloor. I’ve done it a lot before but never with a release in mind. In a case of home listening I am happy with the message they get across. Do Flaws track titles allude to anything? Yes they do, I wouldn’t go as far as explaining each single title but 'Flaws' itself has got a lot to do with the flaws in the production of my tracks, in most cases this refers to a lack of certain frequencies whether it's the subs or high frequencies. 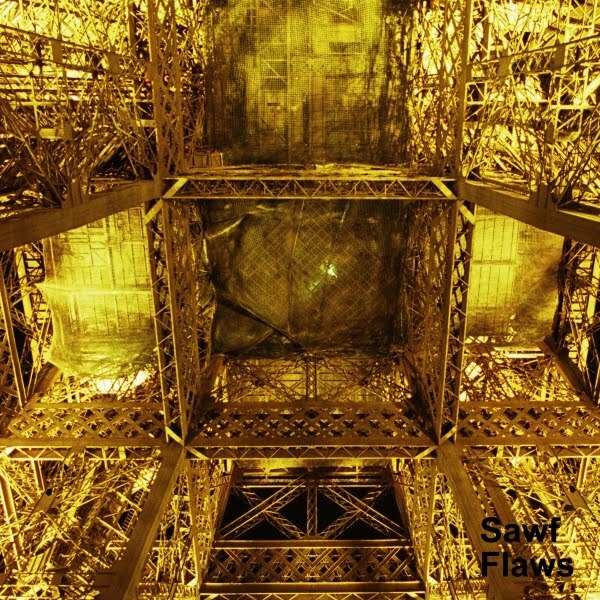 The photographic artwork for Flaws is of an illuminated steel structure. Can you tell us more about it? The picture was taken by photographer James Guppy. I chose it from a collection of his and found it most suited the idea of Sawf and Flaws. Does the release of Flaws mean we will see more of Sawf touring the world’s techno clubs? Can we expect Sawf live? I have no plans of this for the near future but it it's something that I think I may work on one day. 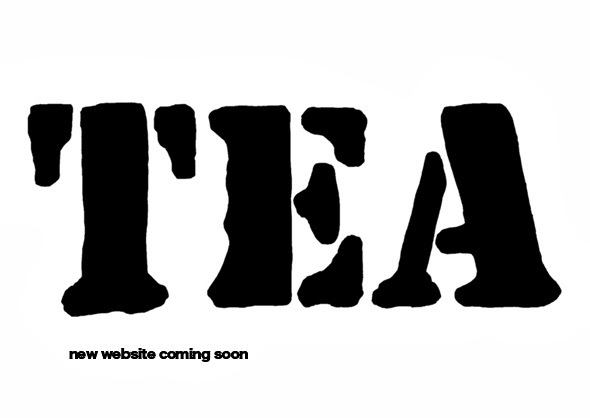 What is ahead for Sawf in 2011? After the album a couple of vinyl EP's will be released featuring tracks and remixes from Flaws. There's also a split EP with Perc coming on Flux Recordings as well as a remix of mine for Go Hiyama's Blank Records. I’m not that crazy about tea as I only use it as a sore throat remedy for when I am sick. So if you are sick I recommend a Greek mountain tea called Malotira. Check out a full preview of the album here which is now available to pre-order as a limited edition CD. 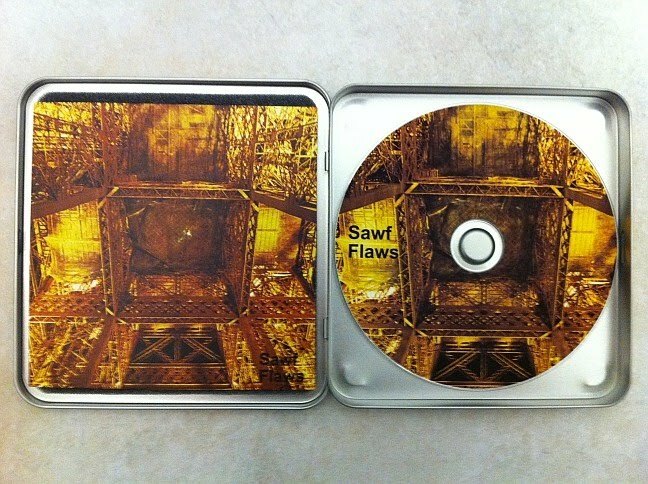 You can send an email with the title 'FLAWS' to ali@perctrax.com which you will then be sent the ordering info. Take a listen to a mixed preview of the album here.